Trade and Empire Homeschool Resources - including curriculum, teacher resources, hands on project book ideas. This page has my BEST OF.... lists of my favourite living books history books the Trade and Empire time period. 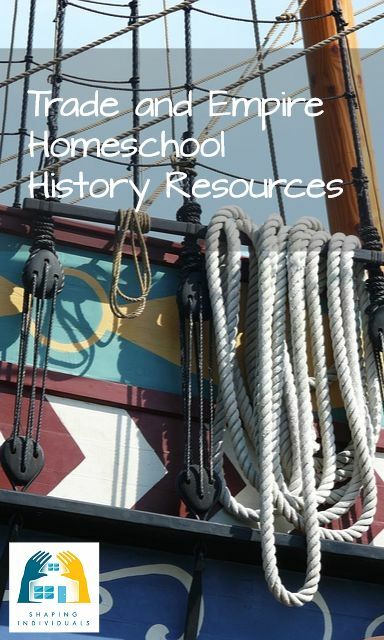 More selections of books such as reference books, teacher's books, history spinebooks for the 1600's can be found at the Homeschool History Curriculum - Trade and Empire page. You do not need to read all these books - choose ones that interest you and appeal to the age of your family. I have added numerous resources on explorers (1400-1600) on the Renaissance and Reformation History Living Books BEST OF... Page. Artists in the period include: Dutch/Flemish - Rembrandt, Rubens, Hals, Van Dyck, Brueghel, Vermeer; Spanish - Velazquez; Baroque style 1630-1680. Puritan Revolution / English Civil War 1642 ; We have not read all of these books, but especially recommend all Henty books as well as those by Captain Marryat. You will find many great resources on trade at this time in your library. Great Writers of this time period include - John Bunyan, John Milton, John Locke - some difficult authors here, but important for older students to be familiar with these authors and read some of their works. We have loved G.A.Henty Books for all the time periods. Who is G.A.Henty? If you have boys (and even if you don't) you MUST read this!